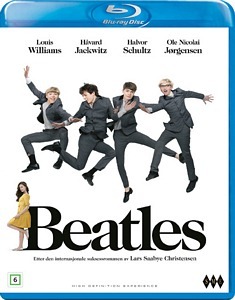 The Norwegian movie Beatles, for which Magne composed the score, is finally being released on Blu-ray and DVD tomorrow, November 9th. Update: The movie is also available as Video on Demand (VOD) in Norway through iTunes, Google Play, Altibox, Viaplay, SF Anytime, Canal Digital, Riks TV, Homebase, Get and NextGenTel. The movie, which premiered in August 2014, was originally scheduled for a home video release last year, but with box office results weaker than expected the release was delayed until now. 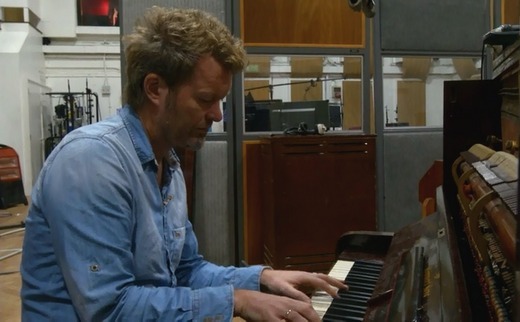 The bonus material consists of a 10-minute visit on the set and a 30-minute “making-of”, which includes a few minutes about Magne’s work on the score and the recording process at Abbey Road Studios. The Blu-ray and DVD are now available to order from platekompaniet.no (ships within Norway) and CDON.com (ships within Europe). But the movie does not have English subtitles, only Norwegian and Danish. Update: However, Beatles will also be released internationally as VOD on iTunes and Google Play (with English subtitles) on 9 January 2016. Magne’s score was released digitally as a 17-track album in September 2014 and is available on iTunes. Magne’s own thoughts on the movie, which he wasn’t entirely happy with, can be read in a transcript from last year’s a-ha fan convention in Oslo. 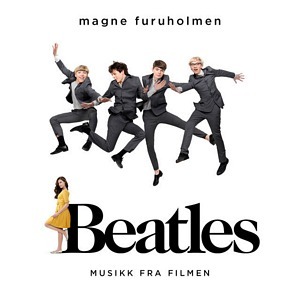 The soundtrack album for the movie Beatles, featuring original music composed by Magne, was released digitally in Norway yesterday and is now available on Spotify, Wimp and iTunes. 30-second samples can be heard at wimp.no. The album includes 17 tracks, of which 13 are instrumentals by Magne. It also includes a version of “Come Together” by Apparatjik (Feat. Icona Pop & Erik Hassle), “Et Kyss Til” by Hvitmalt Gjerde (taken from their recently released second album), “Sukker og Salt” by Rosenberg Allstars, plus Magne’s own fragile version of “Yesterday”. “Yeah, that’s me singing. Someone wanted to include “Yesterday”, and we initially tried to use the original Beatles version, but that particular scene screams for something less perfect, and I thought it could be worth a try. It was of course necessary to do a completely different version, as I could never get close to the original one, but the idea was that it needed a certain roughness to match the atmosphere [in the scene]”, Magne told Dagbladet in a recent interview. When recording the string parts at Abbey Road, Magne brought in a group of musicians from London Philharmonic Orchestra, while David Davidson was flown in from Nashville to oversee the arrangements. “David Davidson has a PhD in Beatles-strings and is a fantastic guy. He has done string arrangements for a-ha in the past, so I know him well”, Magne told Dagbladet. Beatles had its nationwide premiere in Norway on August 29th. Although the reviews have been mixed and the box office results have been weaker than expected, Magne’s music has been well-received. 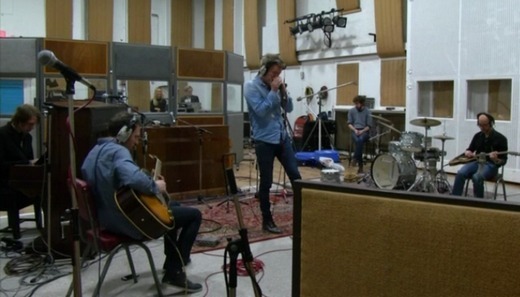 Two different news reports about Magne’s Beatles film score sessions at Abbey Road Studios in London have aired on TV2 in Norway over the last couple of days. The first one can be seen at tv2.no. Among other things we could see a blues instrumental being recorded for one scene, with Magne on harmonica, Jonas Bjerre on piano and Martin Terefe on guitar. 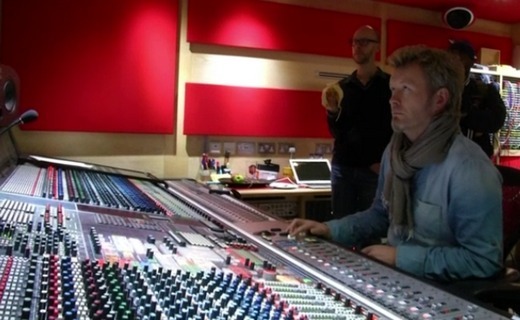 Magne was also recording piano and organ parts together with Kjetil Bjerkestrand and could be heard playing “Stay On These Roads” on the original “Lady Madonna” piano. As we know, Magne is using original instruments, microphones and other recording equipment used by The Beatles for these sessions. “It’s mostly for the music nerds, including myself, that we decided to do it like this. The idea of creating a sort of time machine and walking into a room from the late 60s. It’s almost like a theatrical setup of the whole recording session”, Magne told TV2. “I don’t want it to become too big and symphonic. I feel like I’m the unknown, melancholic member of The Beatles”, Magne said when he was interviewed at the by:Larm festival in Oslo last week.